A tiny speck on the map, Rattlesnake Island is located close to the shore of Okanagan Lake, just east of Peachland. 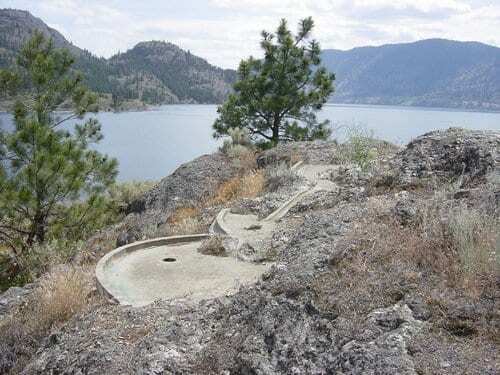 Local legend has it that Ogopogo calls the island home, living in an underwater cave. Today, the island is part of the Okanagan Mountain Park. Despite its small size, Rattlesnake Island has a very interesting history to tell and is a popular destination for locals and visitors. Legend of the mysterious and dangerous water creature N’ha-a-itk (Snake of the Water) dates back as early as the 1700s, when the Okanagan First Nations offered ritual sacrifices to the Ogopogo in return for safe entry into the water. 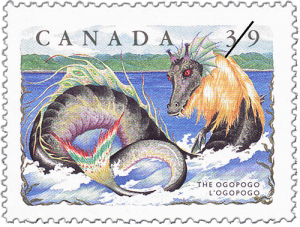 Throughout the 19th and 20th Centuries, numerous reports came in of Ogopogo sightings in the lake. Locals, captivated by the creature, went from simply calling it The Island, to referring to it as Ogopogo Island. In 1951, the island was purchased by Peter Spackman and he tried to rename it to Sunset Island. By then, the name Rattlesnake Island had been frequently used by locals, named so after the Rattlesnake Grass that covers the island. The name stayed, and in the 1950s Kelowna Chamber of Commerce confirmed the name. Visitors to Rattlesnake Island will notice remains of a mini-golf course, among several other remnants of construction. An even though they island is owned by the government, five decades ago it was a unique piece of real estate with its own drama and mystery. In the 1970s, Rattlesnake Island was a place of a visionary and controversial attempt to build an Arab-themed tourist attraction. The initial plan of Eddy Heymour was to build a replica of the Great Pyramid at Giza, a giant camel ice-cream parlour, a mini-golf course, pony rides, gardens, a swimming pool and restaurants. To add to the experience, a ferry from Peachland would bring guests to the island. The plans were shut down by the BC Government. What followed was a story like not other of law suits, hostages taken, and the construction of the Peachland Castle. These days, both locals and visitors often stop at the island while boating, canoeing, or paddleboarding. Rattlesnake Island is a popular picnic spot, featuring a stunning view of the lake and surrounding mountains. 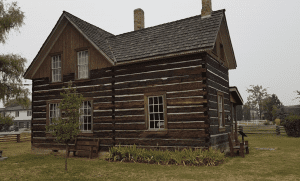 Local history buffs can hike the island in search of the tourist attraction remains. Those seeking a bit more adrenaline, can either take part in the annual Across the Lake Swim, or head to Squally Point near the island to enjoy cliff jumping. Stunning lakefront properties, breathtaking mountain vistas, and a modern community are but a few of the unique features of Lake Country real estate. With a population of approximately 12,000 residents, Lake Country is one of the most beautiful, desirable, and fast-growing communities in British Columbia. True to its name, there are several lakes in the vicinity of the community. 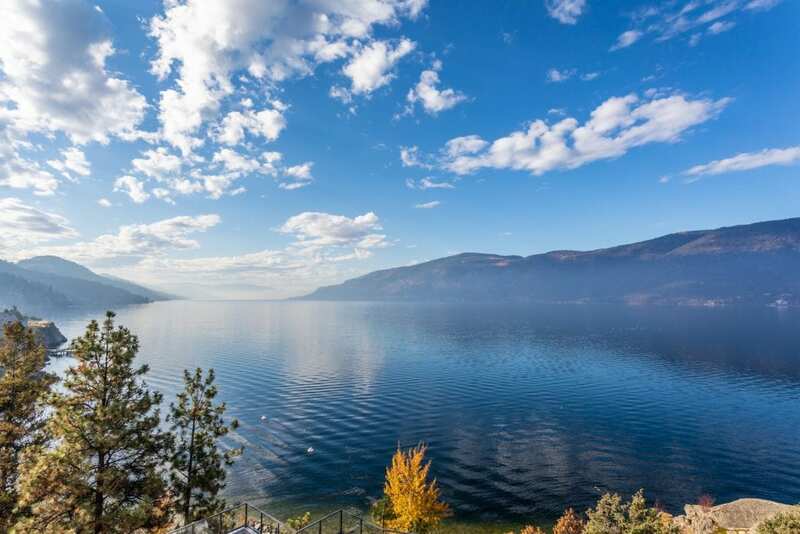 You’ll find the Okanagan Lake to the west, several smaller lakes in the hills to the east, Kalamalka Lake to the north, and Wood Lake encompassed by the municipality of Lake Country. The high quality of life and proximity to outstanding amenities within and near Lake Country have made it a popular choice among home buyers. To add to the appeal, to the south lies the City of Kelowna, and to the north, a short and picturesque drive away, lies the City of Vernon. 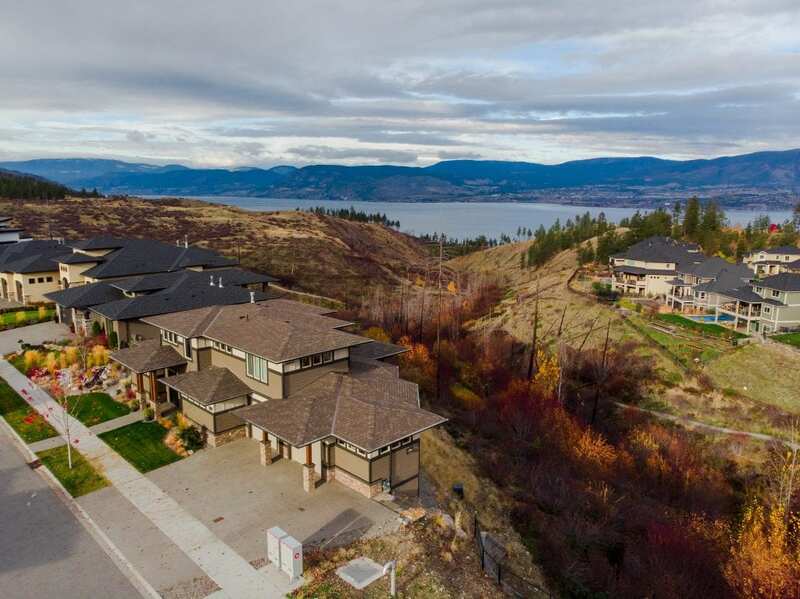 Many of the older and newer properties in Lake Country overlook the Okanagan Lake and mountains, and are surrounded by award-winning wineries, excellent golf courses, scenic orchards and beautiful farms. Whether you are looking for a single-family home, luxury homes, a property with an acreage, or a condo, Lake Country encompasses four communities for you to choose your perfect home in: Winfield, Oyama, Okanagan Centre, and Carr’s Landing. Winfield is the southernmost community in Lake Country, bordering Wood Lake and the Okanagan Lake. 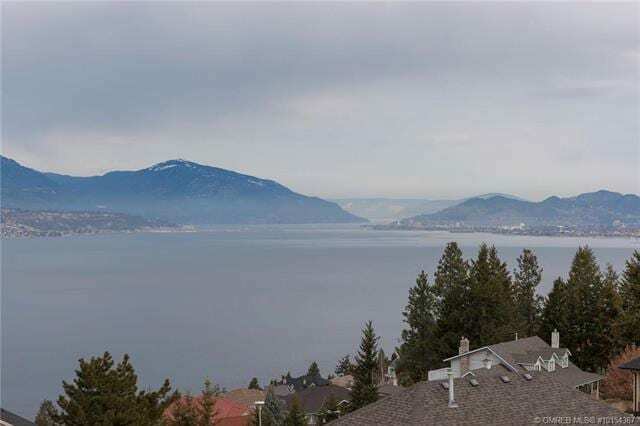 Its proximity to Kelowna makes it a desirable place for anyone who wants to enjoy a more quiet way of life, while remaining close to the big city amenities. Winfield is known for its stunning local vineyards and great wines, as well as amazing views of the lakes, mountains, and lush orchards. Some of the favourite local pastimes include water sports, golfing, hiking, and cycling. The smaller lakes in the hills to the east are well known for being excellent fishing spots. Located between Wood Lake in the north and Kalamalka Lake in the south, Oyama offers a more peaceful way of life. The small town has some of the most serene and breathtaking views in Okanagan, and is popular among those who are looking to escape the busy lifestyle. 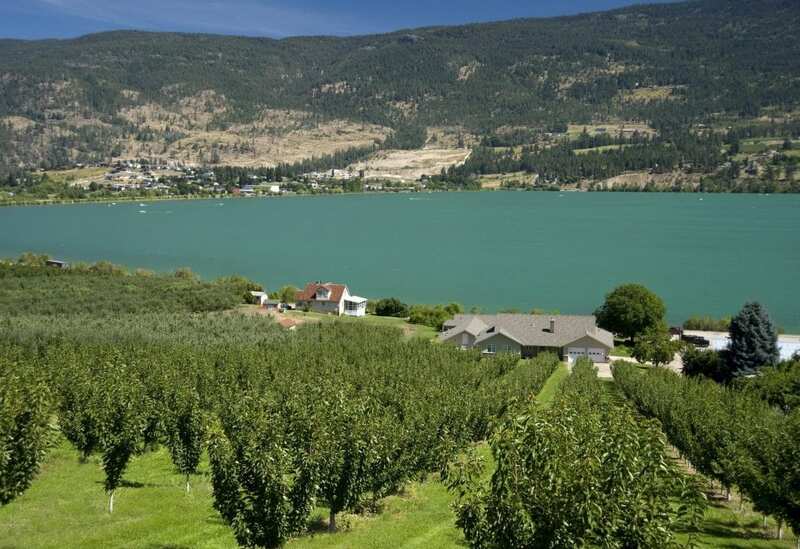 The pristine lakes, small town hospitality, orchards and large acreages add to Oyama’s countryside feel. In the summer, residents can enjoy variety of water activities and an array of locally grown fruit and vegetables. 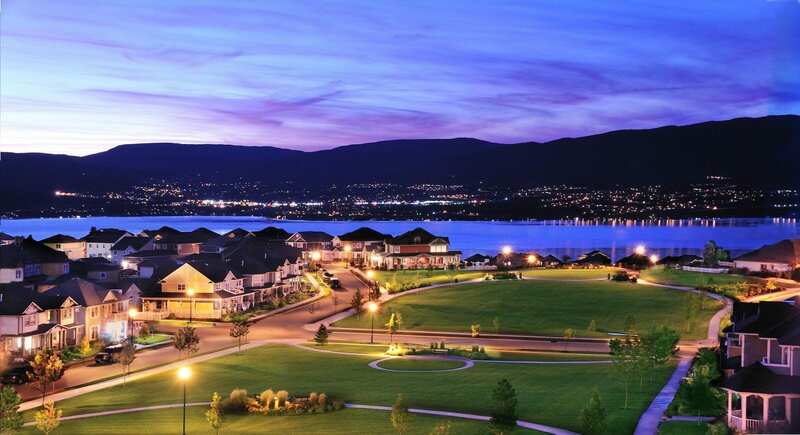 Located east on the shores of the Okanagan Lake, the community offers its residents some of the best views and lakeside lifestyle. Okanagan Centre is a small and peaceful community, surrounded by rolling vineyards and rural orchards. Situated directly on the Okanagan Lake, Carr’s Landing is a serene lakeside community, known for its spectacular lake and mountain views. The surrounding orchards add to the community’s peaceful countryside feel. 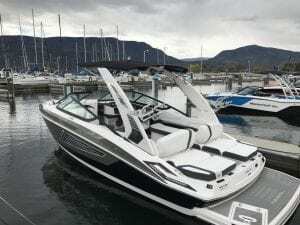 With easy access to the boat launch at Coral Beach Park, the residents of Carr’s Landing can truly enjoy the sunny Okanagan summer days on the lake. A modern and desirable place to live, Lake Country is a great place to invest in real estate and build your future. If you want to see for yourself what a peaceful lifestyle in one of the Lake Country communities looks like, our Kelowna Life Real Estate Group will be happy to show you around. You can live here too. Check out Kelowna Life to learn how. Water’s Edge North – Rebuilt. The Okanagan Valley is renowned for its laid-back lifestyle. With access to a wide variety of activities no matter the time of year, Kelowna is a great city to raise a family. Whether you enjoy water sports in the summer or getting on the slopes in the winter, there’s never a dull moment. If you were like me when I moved here, I didn’t know where in Kelowna to set up. Where was the best place to raise my family? I might be a bit biased, but it’s hard to go wrong no matter where you move as this city is filled with great neighbourhoods. However, there are hidden gems throughout the city. One of which is a community called Water’s Edge North. 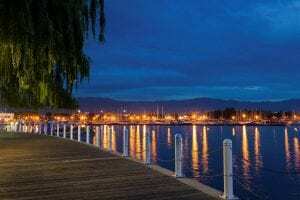 A small neighbourhood close to Okanagan Lake, Water’s Edge North is a beautiful and scenic location in the Lower Mission area of Kelowna. Located just steps from the Okanagan Lake, MKS Resources has worked tirelessly to create a unique blend of architecture, and inspiring design with a great location that has fabulous views, serene surroundings, and fantastic amenities. All that hard work has come together to create the Water’s Edge North community. Just a short distance from restaurants, destination resorts such as Eldorado Hotel & Manteo Resorts. It is also close to water parks, orchards and Mission Creek Greenway. This neighbourhood has everything you could ever want in a community. Not only is the Water’s Edge a beautiful community with a great location, but it’s also a community that has become stronger in the past year. In July of 2017, there was a massive fire in the neighbourhood that forced 176 homes to evacuate. It was a tragedy that devastated many families, or at least that’s what you would expect. Instead, the community used the fire as a tool to bring them closer together. They rallied together to rebuild their homes and do everything they could to help each other in a difficult time. Tragedy is something no one ever wants to deal with. However, how one deals with tragedy shows the character of those involved. It can be easy to fall apart when something terrible happens, but when you get back up after a disaster, it shows true strength of character. That’s what the Water’s Edge did after a fire devastated their community, they got up and rebuilt. Now as the community continues to rebuild, the people are stronger than ever. For those reasons alone it is a great community to set up your family. With a strong, inclusive community, and plenty of things to do throughout the year, who wouldn’t want to live in the Water’s Edge? You can live here too. Check out Kelowna Life to learn how. World Population Day is a day that takes place annually to raise awareness of global population issues. Established in 1989, it was inspired by the massive public interest in Five Billion Day, July 11th, 1987. In celebration of World Population Day, let’s take a look at Kelowna and how it has grown over the years as well as how it’s expected to grow in the future. Kelowna was first established in 1859 by Father Charles Pandosy. Setting up just one school and church, it was a very small community for the next half-century. In the 1901 census, Kelowna had a population of just 261. However, over the next 10 years the city began to see growth and by 1911 had grown to a respectable size of 1661. Ever since that point, Kelowna has been one of the fastest growing cities in all of Canada. By 1940 the population had grown to 5000 and then in less than 20 years, the population hit 10,000. By 1970, Kelowna saw the biggest population spike in Kelowna’s history. The population went from 19,000 to 51,000 in 1976. This significant increase firmly planted Kelowna on the map. It was during this time it was discovered that Kelowna had uniquely fertile soil. This discovery lead to the production of amazing wines (lucky for me) and fruit which in turn contributed to the population spike in the 70s. Contributing to Kelowna being a more desirable location to live were the addition of two post-secondary institutions – Okanagan College and University of British Columbia Okanagan Campus. Since then, Kelowna has steadily been increasing to the point where it now has a population of 127,000. I am proud to say that I live in the 3rd largest city in British Columbia (22nd largest city in Canada). Growing faster on average than the rest of Canada, Kelowna is expected to continue to move up the Canadian population list. With Kelowna recently being ranked as the number one city to start and grow a business in Canada by the Canadian Federation of Independent Business, this growth can only be expected to continue. Over the next 20 years the growth of Kelowna has been projected by BC Statistics to increase by roughly 50,000 residents. To anticipate this growth, the City of Kelowna launched an initiative called Imagine Kelowna. 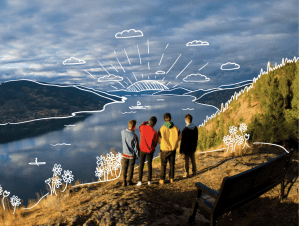 Imagine Kelowna – a vision for the community, created by the community will help guide the community and the City on planning priorities of future projects. The main focuses of Imagine Kelowna will be to build healthy neighborhoods that support people from all walks of life, embrace a more diverse transportation options, grow more vibrant urban centres. Kelowna is a thriving city and an incredible place to call home. I look forward to a future where we build a community that is inclusive, sustainable, welcoming of lifestyles and economic opportunities for not only my family but for all. You can live here too. Check out Kelowna Life to learn how. The Village of Kettle Valley is an award-winning community. 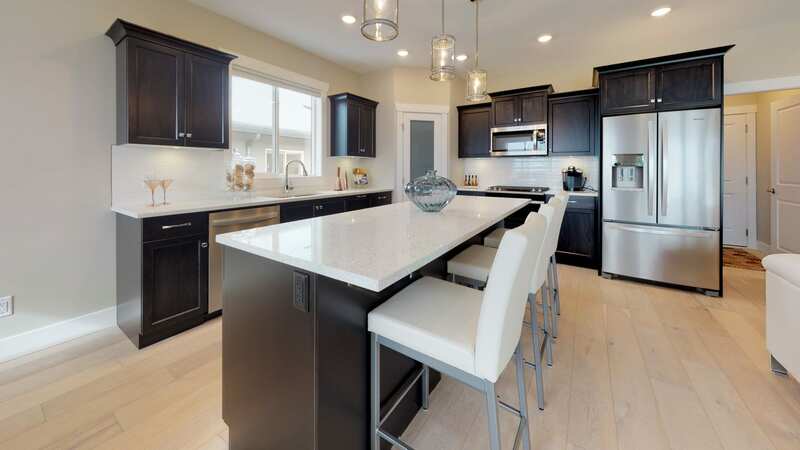 It features walkable streetscapes, gorgeous parks, extensive nature trails, panoramic Okanagan Valley views, exceptional educational institutes and access to great amenities. At the heart of Kettle Valley is a strong sense of belonging and community. Since it was founded in 1996, residents have established a welcoming neighbourhood of residents eager to be a part of one of Canada’s best neighbourhoods. The people of Kettle Valley truly make it a vibrant and dynamic community. Residents instill a sense of belonging, and community that encourages its residents to enrich their home, enhance their lifestyle, and truly capture what it means to belong to a community. Kettle Valley residents regularly gather for events hosted in the community including Parks Alive! concerts, soccer games and the annual resident-organized Kettle Valley Garage Sale. Kettle Valley is an ideal place to raise children as it provides a strong sense of support, endless activities for all ages and exceptional education. Chute Lake Elementary helps serve the growing population of families in Kettle Valley and Kelowna’s Upper Mission from grades K-7. It consistently achieves a high standard of academic success and offers endless courses, clubs, sports and extracurricular activities for students to get involved in. Okanagan Mission Secondary is an exemplary school for students grade 7 – 12. The school offers a wide array of course options, clubs, sports, and extracurricular activities and has the highest school ranking of all public secondary schools in Kelowna. Kettle Valley offers incredible opportunities to maintain a healthy and active lifestyle. There are a multitude of opportunities for all seasons. 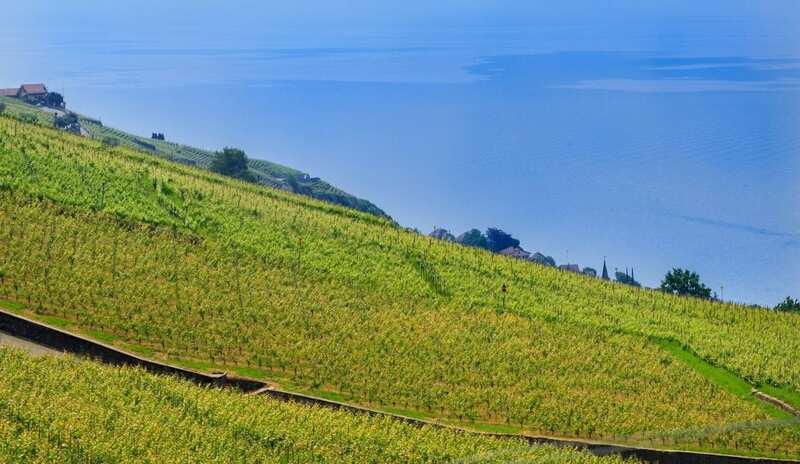 Hiking, biking, rock climbing and wine tours are popular activities during the warmer months. While snowshoeing and tobogganing are excellent ways to maintain an active lifestyle during the winter season. The Village Centre is located at the heart of Kettle Valley. It embraces the core values of community and traditionalism, and was specifically designed to be a gathering point for friends and family. The Village Centre also features a number of thriving businesses including a delicious ice cream shop, cafe, pizza parlour, pilates & fitness studios, family-friendly restaurant, preschool, spa, art studio, chiropractic clinic, dental office, playground, grocery mart and more. In the true spirit of Kettle Valley, hundreds of volunteers and local community members helped build the extraordinary playground located in Quilchena Park, the Kettle Valley Junction. This immaculate play area, has 6 turrets, swing sets, slides, tunnels and bridges for the ultimate playground. 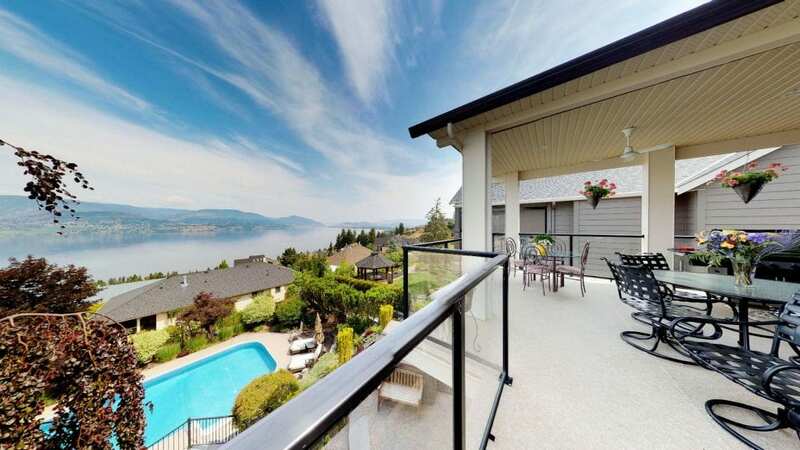 Located at the peak of Kelowna’s Upper Mission, wake up to stunning panoramic views of Okanagan Lake, mountains, vineyards and the city below. Kettle Valley is surrounded by breathtaking natural beauty, plantlife and wildlife. Gillard Forest service road is a popular route for locals and visitors that wish to access the Kettle Valley Railway. The KVR trail system is a gorgeous trail for mountain biking, hiking and enjoying the stunning natural beauty the Okanagan Valley is renowned for. Enjoy some of the most dynamic routes in Canada, along this truly impressive scenic and spectacular trail system. There is truly no place like Kettle Valley. Thoughtful design and architecture is at the heart of Kettle Valley’s planning development. Homes in Kettle Valley are surrounded by a diverse natural hillside landscape with flowing creeks and miles of green space to enjoy a multitude of outdoor activities. Enjoy the incredible community, natural beauty and amenities that Kettle Valley has to offer from this gorgeous custom walkout rancher on 368 Quilchena Drive in Kettle Valley, BC | $1,499,000. Take advantage of million dollar views of the lake and city! On the main level, this 5 bedroom, 3 bathroom home features a den or office space, master bedroom with a walk in closet, access to the patio, and the beautiful master bath overlooking the lake, a formal dining room, an entertainers dream kitchen attached to the open living room with a beautiful gas fire place. You will enjoy entertaining your friends and family in the walk out basement which includes a spacious family room, rec room, wet bar, and wine room. Downstairs also features 3 more bedrooms and bathroom, a gym area and lots of storage under the garage which could easily be converted into a theatre room for another 400 square feet. The professionally landscaped tiered back yard features many private areas to unwind. Take in the amazing views from the covered patio, fire table area, pool, master bedroom patio, and hot tub. Looking for a home in Kettle Valley? Contact our hard-working and highly qualified real estate professionals at Kelowna Life today. The Village of Kettle Valley is a dynamic community that offers gorgeous homes, stunning views and a friendly “small town” feel in Kelowna’s Upper Mission. 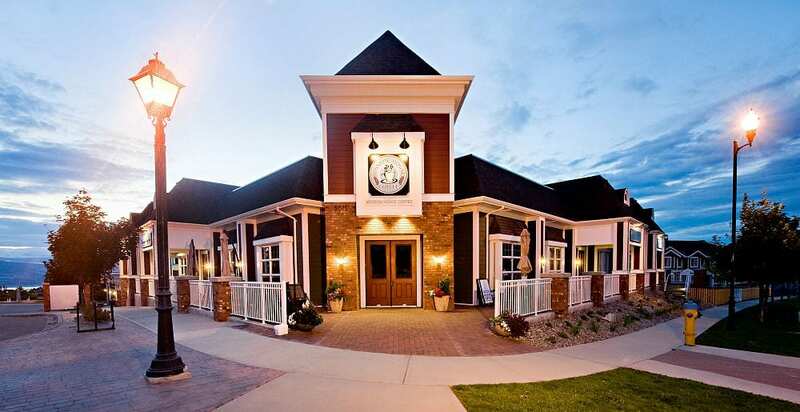 Created over 20 years ago, this location offers charm unlike any other location in the Okanagan. If you enjoy being surrounded by nature and desire a location where people say hello, this master planned community will exceed your expectations. Perfect for homeowners who are searching for a contemporary home with traditional architecture, there are multitudes of single-family dwellings and town homes to choose from. Kelowna Life Real Estate can guide you through your extensive options until you find the property you have been dreaming about. 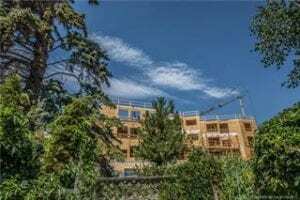 You will love this location as it feels far enough away from the city for privacy and relaxation; however, you are still only a short drive to downtown Kelowna. You will enjoy the scenic drive away from the core of the city as you gently wind upwards into the highlands. Nothing compares to this magnificent view; day or night there is plenty to take in. Even better are all of the local amenities within the village itself including delicious restaurants, spas, chiropractors and dental offices. Perhaps, you are seeking a view lot to build your own custom residence. There are excellent parcels available for those who prefer to start fresh. Enjoy the deer, hummingbirds, squirrels, deer, Blue Jays and a plethora of other animals that also call this location home. There are well-established trees throughout the neighbourhood and surrounding hills to immerse you in the best nature the Okanagan has to offer. Enjoy the multitudes of vibrant colours that bloom with a variety of native plant species. It is an ideal place to situate your new custom home. Hiking, Biking, Birdwatching: Your Active Lifestyle Awaits! 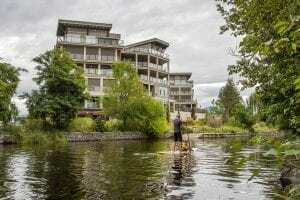 Kelowna residents from all over enjoy all aspects the Upper Mission has to offer. Many non-locals enjoy visiting to take advantage of the sweeping vistas and excellent hiking locations. If you love being active but don’t want to drive anywhere to engage, the Village of Kettle Valley has you covered! Walk from your home and enjoy the natural landscape. The gorgeous Crawford Falls hiking area is a great place to spend the day and take some amazing photos. The Myrna Canyon Adventure Park is additionally within close proximity and offers spectacular views for all ability levels. Founded in 1996, this master planned community even received a prestigious award naming it Canada’s Best Neighbourhood. Wonderful parks that are clean and welcoming await young and elderly families alike. Enjoy a quiet, contemporary location to raise your young family or retire to. There is something for everyone in Kettle Valley. Call Kelowna Life Real Estate Today! 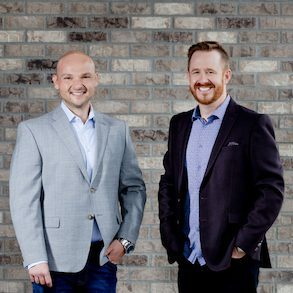 Our team of exceptional Real Estate Agents knows every aspect of Kelowna. If you are ready to explore Kettle Valley, we would be delighted to show you around! Contact our office and let’s get started! Discover lakefront living at its finest! Regardless, if you are seeking an empty view lot to create your custom abode or prefer a turnkey property in the Okanagan, our professional, friendly team at Kelowna Life Real Estate Group has plenty of options. Relaxing waves and an abundance of local wildlife are yours to behold. There are multitudes of properties that offer everything you are seeking: personal docks, boatlifts, boathouses and even separate guest accommodations. Imagine watching the eagles soar and the fish jump from your very own backyard! Kelowna Life can make it happen. We take pride in delivering above and beyond when it comes to our client’s wishlists. Skip driving down to the pool when you can enjoy a refreshing dip in the lake any time you desire. Perfect for a variety of watersports and lakeside hiking, living on the water is ideal for those who prefer an active lifestyle or enjoy being inspired by nature. Our diverse landscape provides endless hours of entertaining possibilities. Create the space that family and friends will beg to visit and capture your waterfront dreams today! We have a variety of properties to share with you. If Okanagan Lake is too big or busy for your family’s needs, consider smaller lakes including Shannon Lake on the Westside and the memorizing turquoise of Kalamalka Lake, sandy Skaha or other options in the region. Regardless, if you prefer a place where motorized watercraft is not allowed to disturb you or you seek a location fit for wakeboarding…we’ve got you covered. Sensational Memories On the Water Await! 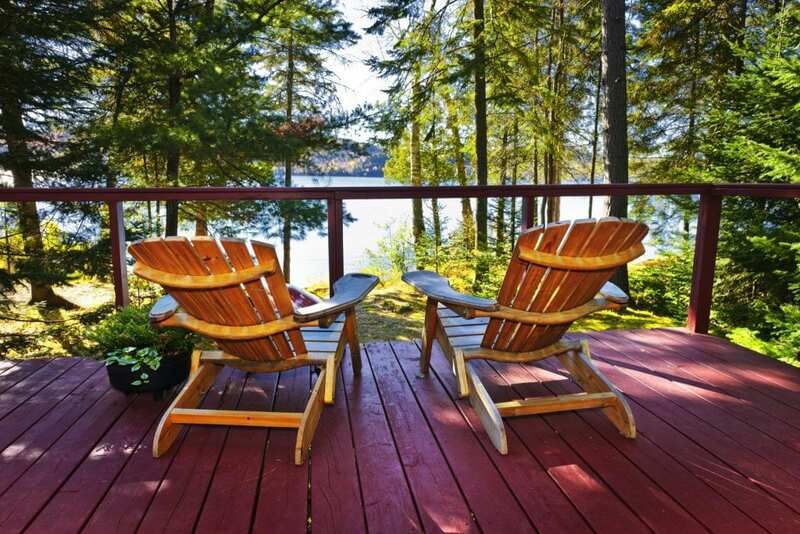 Many clients desire a lakeside vacation property. Others choose to live on the water year round. Kelowna Life Real Estate Group can put you in touch with the landscape and offerings you desire. Our local team knows every inlet, bay and beach. Let us help you discover waterfront perfection at its’ finest. There are residential and commercial spaces to behold. We enjoy helping clients embrace the Okanagan lifestyle. Perfect for water skiing, tubing, wake boarding, wake surfing, sailing, swimming, fishing, SUP, kayaking and canoeing; our backyard brings people from all over the globe. Our expert real estate team can help you define your lifestyle by offering properties to view that meet your criteria. Enjoy having a place to visit or live year round along the beach. Enjoy breathtaking views, ample bird life, iridescent dragonflies, Mountain Goats, deer, moose, bear, marmots and squirrels galore. Take in the fresh air, sunshiny days, delicious fruit crops and world class wineries that define our region. Kelowna and area are yours to explore! Working with a local team who knows all of the neighbourhoods and lakeside locations will help you streamline your search. From freehold semi-detached properties to waterfront condos, vacant land and every aspect in between, our team is ready to show you the latest listings! Call us today and let’s go house hunting! Our team is available to meet with you at your convenience and show you the listings that deliver the options you desire. You can always get in touch by phone at 250.575.4300.